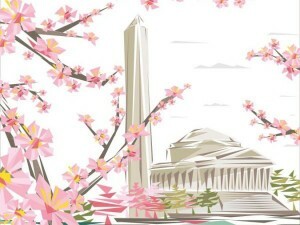 Cassidy is proud to sponsor this year’s Cherry Blossom Reception hosted by the Alaska State Society. The Alaska State Society is a non-profit, non-partisan organization with a social, civic, and support mission, serving an active membership of more than 300 Alaskans and friends of Alaska living in the Washington, DC area. Cassidy Vice President Kaleb Froehlich hails from Alaska’s capital city, Juneau, and before joining Cassidy served for nearly six years as Senior Counsel to the Senate Energy and Natural Resources Committee for now Chairman, Sen. Lisa Murkowski (R-Alaska).